Jacobo Sefamí (Mexico City) received his licenciatura en Lengua y Literatura Hispánicas from the Universidad Nacional Autónoma de México, and his Ph.D. from the University of Texas, Austin. He taught at New York University, and is currently Professor of Latin American literature at the University of California, Irvine, and Director of the Summer School of Spanish at Middlebury College. He also directed the University of California’s education abroad program in Madrid, Spain (2003-2005), and was Editor of Mexican Studies/Estudios Mexicanos, and contributing editor on Mexican poetry to the Handbook of Latin American Studies. He has published articles, interviews, notes, and book reviews for various literary journals in Mexico, Spain, Venezuela, Chile, and the United States. His books include: El destierro apacible y otros ensayos. Xavier Villaurrutia, Alí Chumacero, Fernando Pessoa, Francisco Cervantes, Haroldo de Campos (1987), Contemporary Spanish American Poets: A Bibliography of Primary and Secondary Sources (1992), El espejo trizado: la poesía de Gonzalo Rojas (1992), De la imaginación poética: Conversaciones con Gonzalo Rojas, Olga Orozco, Alvaro Mutis y José Kozer (1996; 2nd expanded edition includes Enrique Molina and David Huerta), Medusario. Muestra de poesía latinoamericana (co-editor, 1996; 3rd edition, 2016), La voracidad grafómana: José Kozer (editor, 2002), and Vaquitas pintadas, an anthology of texts related to the cow (2004; another edition, with poems appeared at Unidiversidad, from the Benemérita Universidad de Puebla). 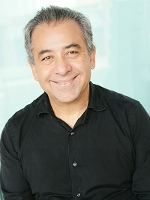 He has also published a novel, Los dolientes (2004; translated and published in English, 2010). 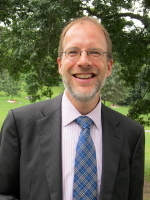 Matthias B. Lehmann (Ph.D., Freie Universität Berlin) is professor of History and Teller Chair in Jewish History at the University of California, Irvine. He is the author of Ladino Rabbinic Literature and Ottoman Sephardic Culture (Indiana, 2005), Emissaries from the Holy Land (Stanford, 2014), co-author, with John Efron and Steven Weitzman, of the widely-used textbook The Jews: A History (Routledge; third edition 2018), and co-editor, with Jessica Marglin, of a forthcoming volume entitled The Jews and the Mediterranean. He also serves as co-editor of the Indiana Series in Sephardi and Mizrahi Studies, published by Indiana University Press.